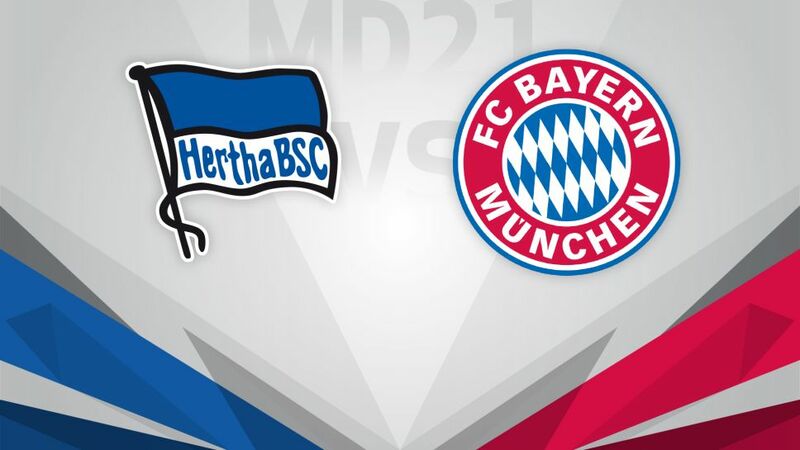 Hertha Berlin will be looking to recover from their defeat at FC Schalke 04 but face a difficult task when they host Bundesliga leaders FC Bayern München on Saturday afternoon (kick-off 15:30CET/14:30GMT). Inconsistency seems to plaguing Hertha at the start of 2017. With three losses and a victory, Pal Dardai needs to find some stability if they are to ensure their European spot by the end of the season. Currently only one point separates them from playing in Europe and not next season, and with the likes of 1. FC Köln and Bayer 04 Leverkusen hot on their heels, victory on Saturday becomes even more vital. Bayern left it late to take all three points from Ingolstadt on Matchday 20. Two goals in the 90th and 92nd minute saw Carlo Ancelotti's men extend their lead over RB Leipzig at the top to seven points. Manuel Neuer also recorded his 100th Bundesliga clean sheet against Ingolstadt. A 101st in the capital will see Bayern half-way to another three points, all that is needed is goals - and with Robert Lewandowski at the helm, Bayern never have to wait long.